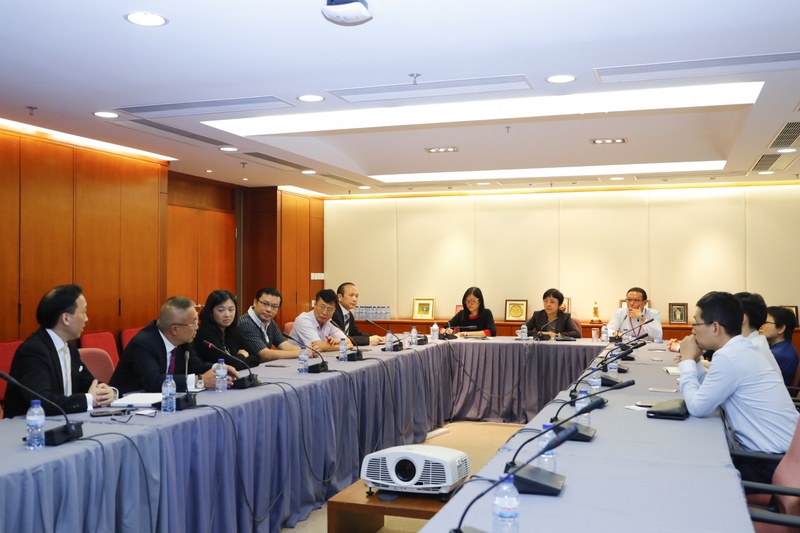 Macao Government Tourism Office (MGTO) conducted a meeting this morning (29 August) with representatives of travel agency and hotel industry associations for an exchange of opinions and an update on their latest situation. After thorough discussions and comprehensive evaluation of the conditions of different sides, MGTO and the travel trade have reached a consensus on the decision to resume tour group arrangements to Macao starting from 2 September. During the meeting, MGTO collected information from the trade and learned that most of the hotels and guest houses already have their water and power supply resumed, while the other services concerned are being restored progressively. After the catastrophe, MGTO regularly sends inspectors to patrol various ports of entry and tourist attractions for prompt awareness of the latest situation. Major tourist attractions remain intact after the typhoon. Considering the conditions of roads around the city, conditions for hospitality and image of the city, as well as the factor of moderate visitor arrivals after the summer holiday, MGTO has discussed and reached a consensus with the trade to resume arrangements of tour groups to Macao starting from 2 September, in the hope that more time will be given for the city’s recovery, while members of the trade can take the chance to restore both their facilities and services. MGTO later issues a safety reminder to members of the travel trade and urges them to get prepared in advance in order to safeguard Macao’s image as a travel destination. MGTO will contact China National Tourism Administration and its counterparts in Shenzhen and Hong Kong regarding resumption of tour groups to Macao starting from 2 September, to facilitate corresponding coordination. In response to the catastrophe, MGTO had requested local travel agencies to suspend their arrangements of tour groups to Macao from 25 August until 30 August in order to facilitate resource allocation for the city’s recovery.